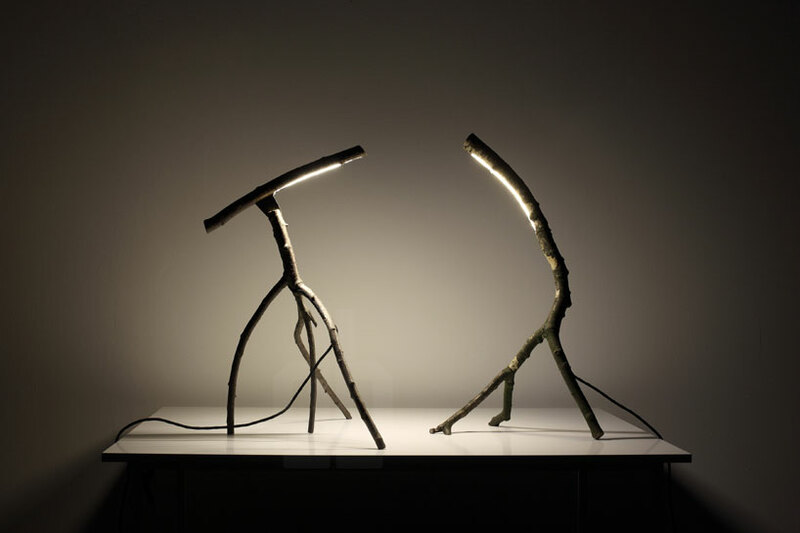 collecting branches that have already been cut down, german-based designer marco iannicelli transforms them into LED lights for ‘little tree friends’. 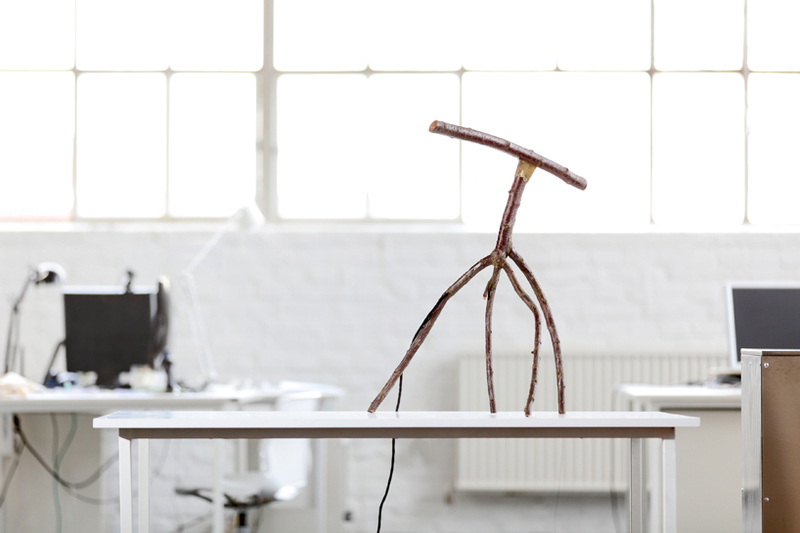 the series is the smaller brother and sister of the ‘happy tree friend’ and the playful objects use natural wood, harvested from dead trees. 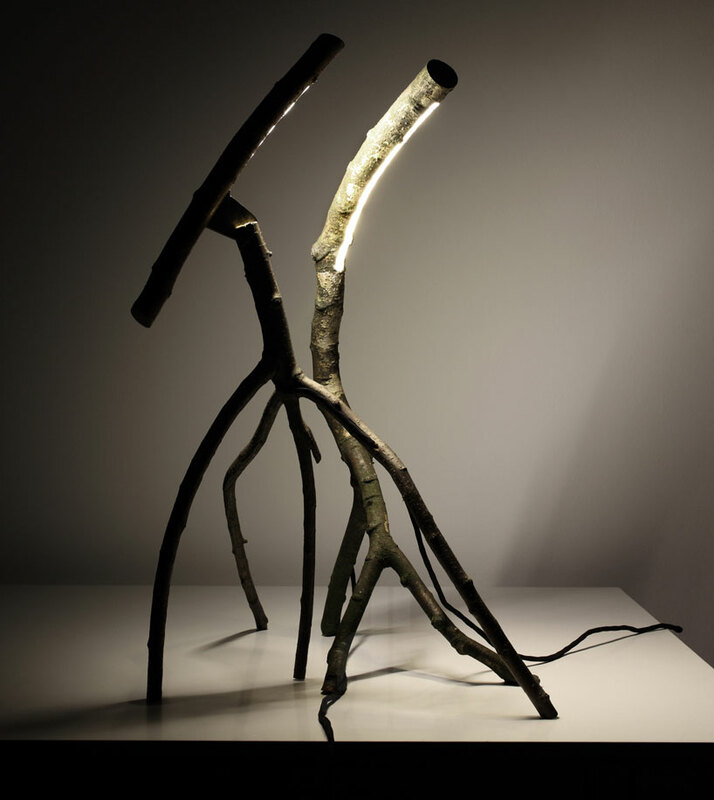 the recycled pieces are rescued from either being burnt or shred and although no damage is caused to produce the sculptural pieces, they also can’t be made with haste. 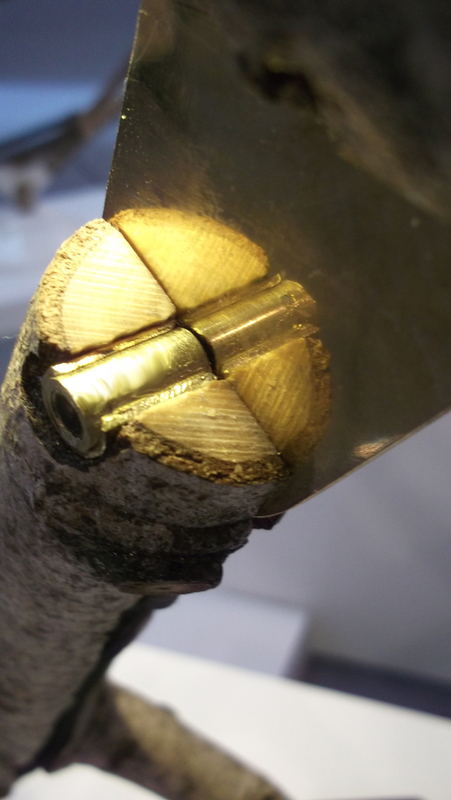 before the manufacturing process begins, the wood needs to have been dead for more than a year and requires a significant amount of searching for the appropriate branches. 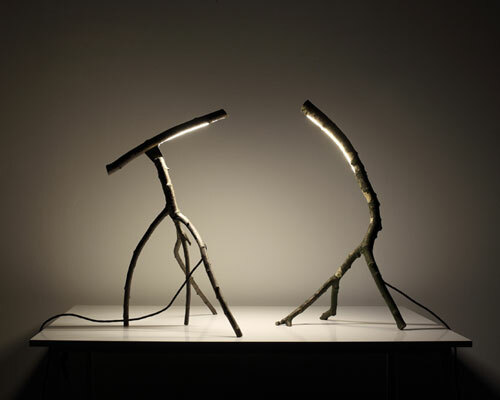 the end result means that each item is unique, small LEDs are inserted into their natural silhouette, leaving the original shape intact. 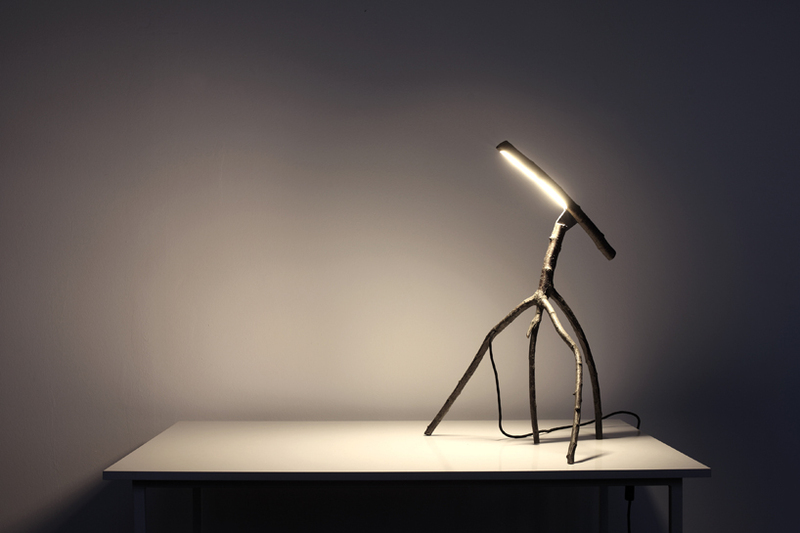 the design also consists of two moveable elements, a tripod and strut that can be moved in order to change the angle of light. these components are connected electronically to each other by brass hinges that carry electricity to the source. Show me your heat sink… Designing with LEDs is way more complex than many designers seem to think. A nice shape is not enough. LEDs need to be properly driven AND COOLED. Otherwise they will live much shorter that any conventional light bulb.